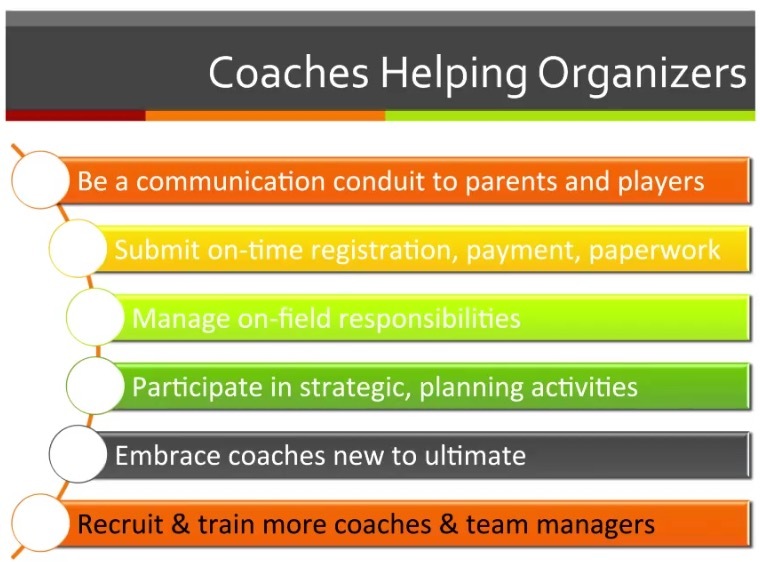 Whether you’re trying to coordinate a practice plan with an assistant coach or “flipping the field” and giving your youth players some homework related to your offensive system, the Playspedia.com website can be a useful resource. The site allows you to register and create your own animations of drills, tactics, games, etc. You can then embed the animation (e.g. in your team web site), attach a YouTube video that further illustrates the animation, and then share the product via Twitter, Facebook, or a public or private link. 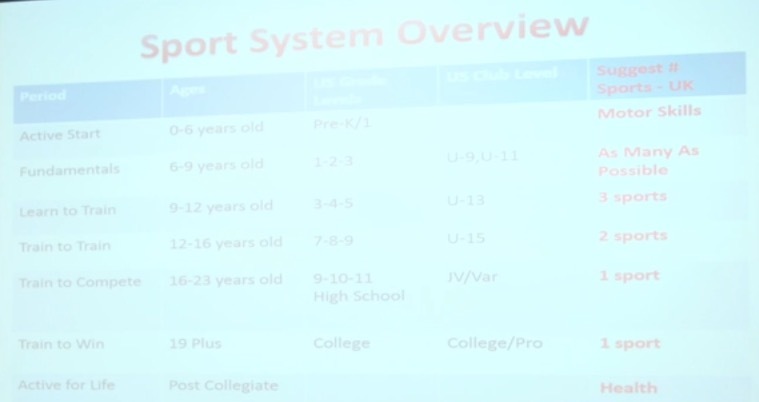 You can also search their database of plays, drills, and tactics. Sadly, a search for content tagged “youth” in the Ultimate sport only returns 4 results (as of fall 2015). 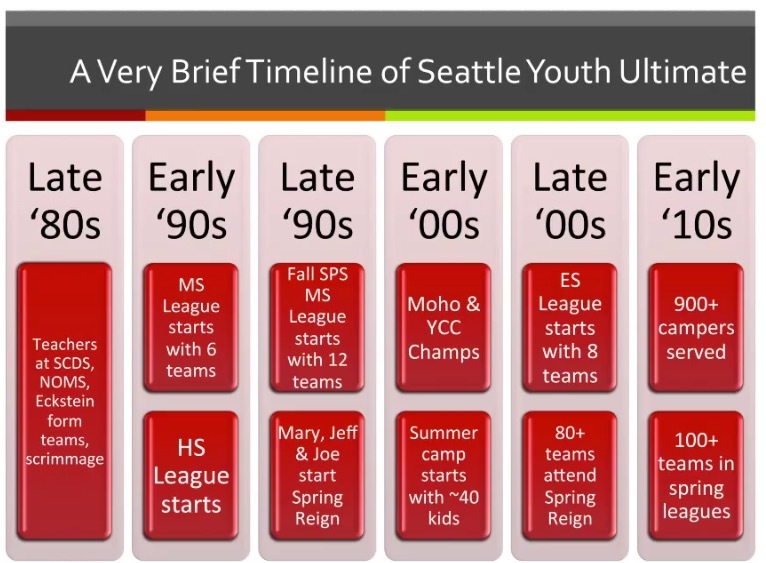 Screen grab of all “youth” ultimate content on Playspedia.com in fall 2015. Let’s generate some more youth-specific content! Tom Crawford on Athlete Development Models in the U.S.
5:25 — Has worked with many professional sports and believes that when sports are done right, they can enhance the human experience. When they’re done wrong, they don’t. Youth Service organizations (JCC, CYO, Boys & Girls clubs), so expect an influx of 1000s of kids! Note: no specialization in single-sport until high school! We have parents that think $25k/yr investment in worth it to get NCAA scholarships or success professional sports. There is early specialization inertia that we’ll have to overcome through education and marketing. 27:27 — Ultimate’s big opportunity is receiving those kids that didn’t make the J/V cut in other sports! 52:00 Q: How to increase access? Youth serving agencies are putting us on their menu and then delivering those kids to us! Highest priority: Build network of entreprenurial partners who deliver the coaching!